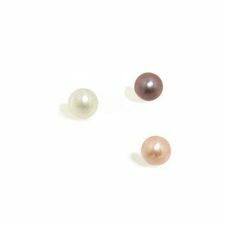 If you have you been searching for black pearls, but only finding peacock black or black pearsl with blue and purple overtones, then you will be very happy with these pearl strands. 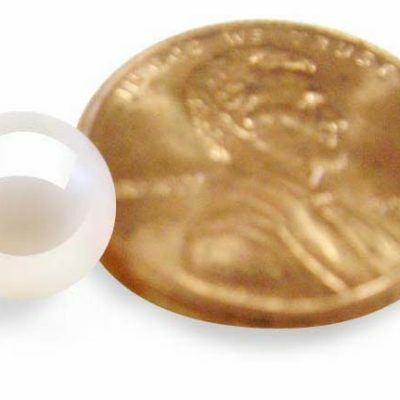 These are huge, 11-12mm A graded round freshwater pearls that do have a few circles and spots on the surface. 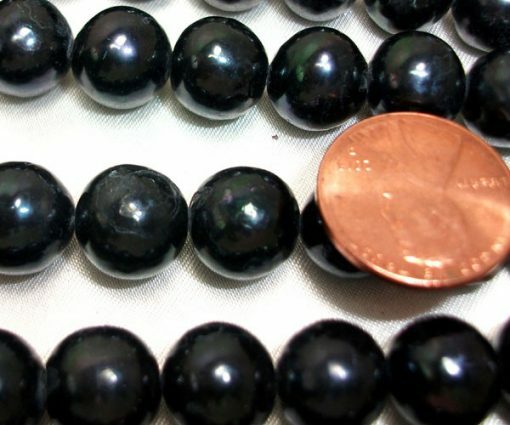 We provided these quality of pearls because of customers’ request for reasonable priced pearls at huge sizes for them to make their unique jewelry with stunning effect, but not shy of showing they are genuine pearls made of nature therefore imperfections do come with them. 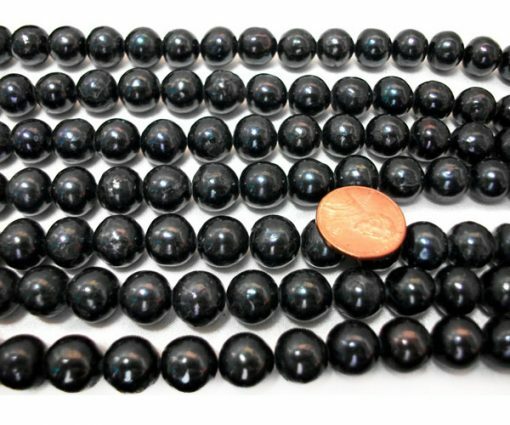 If you are looking for much rounder and better quality pearls, please do a view all, or search by product number to sort by sizes. We do have higher quality pearls available as well although prices will be higher. 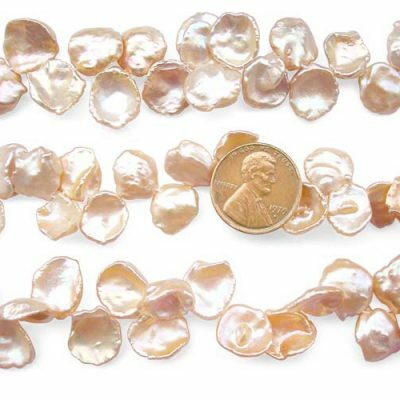 There are approximately 37 pearls available on each of these 15.5inch loose strands. Each strand weighs about 75grams.